Salmon is big business in Norway but the farmed variety has been the target of complaints and warnings for years. Just as the wild salmon fishing season gets underway this month comes a new assault on fish farming, and a defensive retort from the government minister in charge of fisheries. Newspaper VG reported on Monday that Norwegian doctors, professors and international health experts are advising women, children and young teens not to eat farmed salmon. VG’s report followed a similar report in Oslo-based newspaper Dagsavisen back in April. It’s a brave warning to make in a country that’s behind 60 percent of the world’s production of Atlantic Salmon, and where salmon arguably has become the most common and popular main course on lunch and dinner menus. 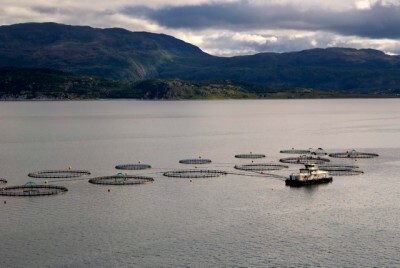 Norway exports farmed salmon to 97 countries around the world, and the country’s salmon export value was set at nearly NOK 30 billion last year. 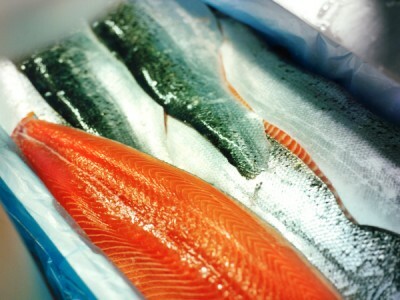 Norwegian seafood in general is second only to oil and gas as the country’s major export product. Norwegian health authorities recommend eating seafood three times a week, but now concerns are rising over consumption of farmed salmon. Some health professionals, such as Dr Anne-Lise Bjørke Monsen at Haukeland University Hospital in Bergen, are warning against eating any farmed salmon. It’s the so-called “persistent organic” substances fed to the salmon in the fish farms that cause the most concern, since they “have a negative effect on brain development” and are associated with autism, hyperactivity and reduced IQ, Monsen said. She said the toxins in farmed fish, which also color the meat pink, can also have an effect on internal organs and immune systems. Other researchers have claimed that farmed salmon is becoming “a swimming vegetable” full of bad fats and dangerous chemicals. Newspaper Dagbladet has reported that some top chefs, also in Oslo, refuse to use farmed fish because of their “unnatural habitat” and what they’re fed, while Russian authorities earlier this year claimed they found high bacteria levels in Norwegian salmon. Some veterinarians and researchers claim it’s wrong to say Norwegian salmon is sick, and point to strict regulations governing sale of farmed fish. Some of farmed salmon’s harshest critics, including Kurt Oddekalv of the environmental organization Miljøvernforbundet, have been branded as radicals who aren’t taken seriously, while the Norwegian salmon industry and government officials often react sharply to the criticism they get. Fish-farming critics say the resistance they’ve met in Norway only makes them more eager to challenge the huge fish-farming industry. The controversy around farmed salmon reached a new peak a few weeks ago, when newspaper Dagens Næringsliv (DN) reported that researchers at fish-farming giant Marine Harvest (which has been trying to take over state-controlled fish-farming firm Cermaq) had blacklisted researchers at the state ocean research institute Havforskningsinstituttet (HI) in an e-mail to the senior HI researcher Stein Mortensen. The e-mail was sent by Marine Harvest’s research chief Olav Breck after Mortensen had reported challenges over high rates of death, bacterial infection and weakened fish welfare among fish used to reduce rates of salmon lice at fish farms. Marine Harvest later apologized after complaints from a Member of Parliament, reprimanded Breck and claimed it never tries to censor research and has no lists of researchers it won’t cooperate with. Meanwhile, consumption of salmon increased by another 23 percent in Norway last year, not least because of the rising popularity of sushi, and some of Norway’s rivers best known for wild salmon have reopened after earlier lice scares blamed on escaped fish from nearby fish farms. Other rivers in southern and western Norway can claim the largest quantities of medium- and large wild salmon for the past 25 years. King Harald V was out fishing in Romsdal last weekend, when the wild salmon season opened on June 1st, while his son Crown Prince Haakon has helped promote Norwegian farmed salmon abroad. 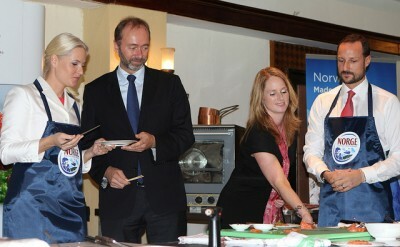 Bente Torstensen, research director at the state nutritional agency NIFES, told newspaper Dagsavisen recently that salmon “is still one of the best sources of marine Omega 3 in our food.” While some research in the US has indicated it can contribute to higher levels of diabetes or even cancer, others claim it can reduce heart disease. Consumer are often left confused over the conflicting research and official recommendations and warnings. While Torstensen says she still eats farmed salmon “and lots of seafood in general,” Monsen of the university hospital in Bergen says she doesn’t. “I stopped eating farmed salmon a few years ago, when I realized it wasn’t good for us,” she told Dagsavisen. State fisheries minister Lisbeth Berg-Hansen of the Labour Party, whose family has interests in fish farming, rejected the latest round of criticism in VG on Monday and said she’s certain that research into the questionable substances used in fish farming were taken into account when nutrition authorities recommended consumption of more fish.